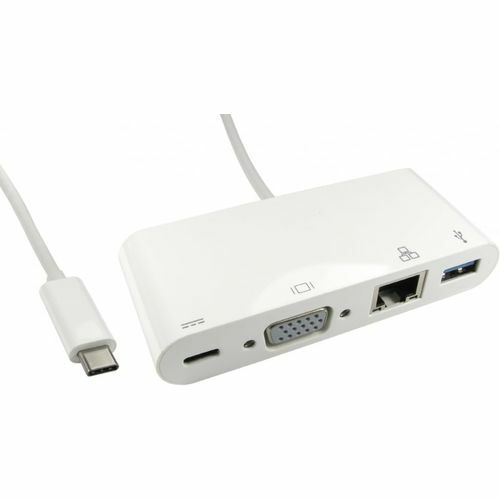 The USB3C-VGA-COMBO allows you to connect a USB device, a monitor with VGA port to a computer with a USB-C port (Macbook, Chromebook, etc..) It also allows the host computer to gain access to a network. The USB-C female port can charge for the host computer while the adapter is in use. Please Note: The WPD port supports PD2.0, if your device or charger uses a different protocol the charging current will drop to 500mAH or less.